The CES 2018 is happening right now and a bunch of new tech is being introduced into the market through this event. 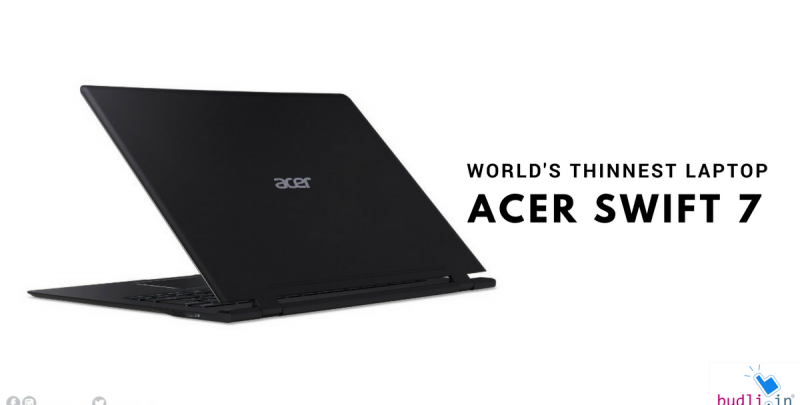 One such amazing product was the newly revealed Acer Swift 7, the Taiwanese company claims it to be the world’s thinnest laptop. 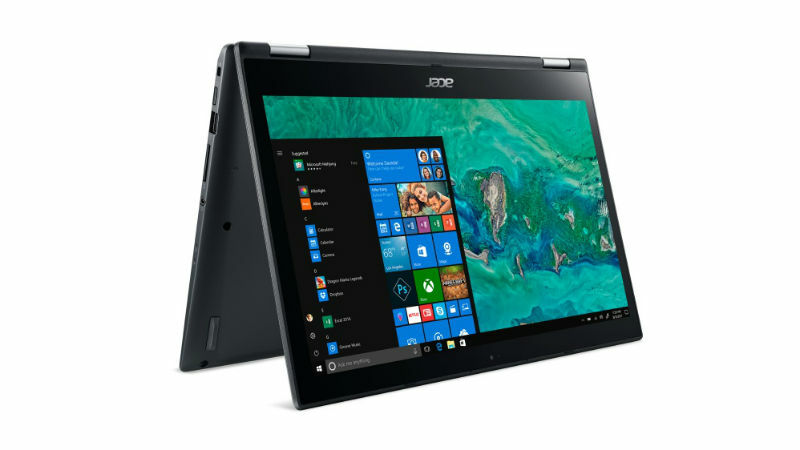 Along with the Swift 7, Acer also launched the Spin 3 laptop that has multiple modes and also a gaming laptop named Acer Nitro 5. The new Acer Swift 7 will be coming to sale in the month of March and will be priced at Rs 107,500(appx.) Have a look at the laptop for yourself! Acer Swift 7 has a 8.98 mm thin design which features a 14-inch full-HD touchscreen panel and is protected by the Corning Gorilla Glass NBT. It will be running of Windows 10 operating system and is powered by the seventh-generation Intel Core i7 processor – coupled with 8GB of LPDDR3 RAM and 256GB PCIe SSD storage. Further, it supports LTE through the built-in Nano-SIM slot and eSIM functionality. The entire body of the Acer Swift 7 is made of aluminium and that is what makes the laptop look premium too. Now talking about the keyboard, the device has a very tacky keyboard which is backlit so that you can enjoy typing even in the nights. The battery on this laptop is claimed to deliver up to 10 hours of battery life on a single charge. The coolest features of the Acer Swift 7 is the presence of fingerprint scanner for enhanced security and also it supports face-detection through Windows Hello program. The screen is 360-degree dual-torque so that makes it easy for users to switch the device from tablet mode to laptop mode within seconds. A two-in-one laptop? Yeah! A laptop and a tablet in one! Are you looking to buy a new laptop? Does the Acer Swift 7 excite you to buy it? Then what are you waiting for! Go and grab it now! Wait what? The price you say! Ah right! Not everyone can afford such heavy priced laptops right? Does that mean that you should give up on your desire to own a amazing feature packed and premium looking laptop for yourself? Hell no! I have a amazing solution for you. Try refurbished laptops. For those who do not know what refurbished laptops are – These are just the original laptops but they are open boxed. Which means that the device was previously opened by a customer and now has been sold to a refurbisher who then checks for any issues in the laptop and then fixes them (if any) and then they are sold to the next user for a relatively lower price. That’s the magic behind the refurbished products. In short, you get the same product with the same features and design for a cost which is much lower than the actual cost of the product. Sounds cool right? We at Budli.in are the largest marketplace for refurbished products in India. We have a whole range of products from smartphones, tablets to laptops. Check out Budli.in and grab the amazing refurbished products at discounted prices now!